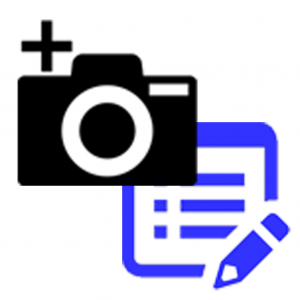 Photo Schedule | World Class Apps Ltd.
Photo Schedule is designed for a surveyor to quickly create a photographic schedule of anything that is needed. Pictures can be quickly taken one after the other, with saving titles or descriptions. 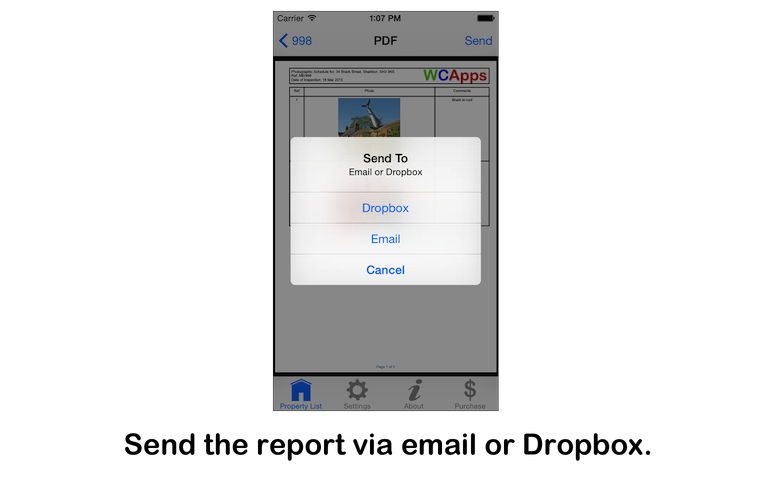 A PDF report is instantly created, which can be sent via email or Dropbox. 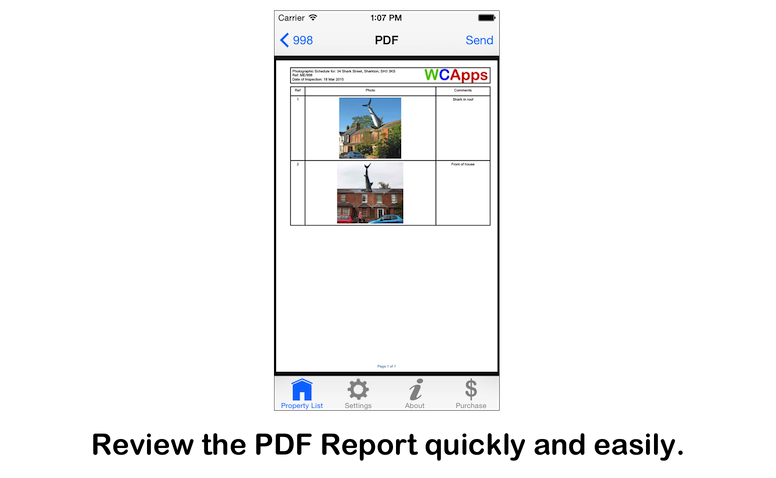 Photo Schedule demonstrates the type of inputs that can be used to speed up surveying. 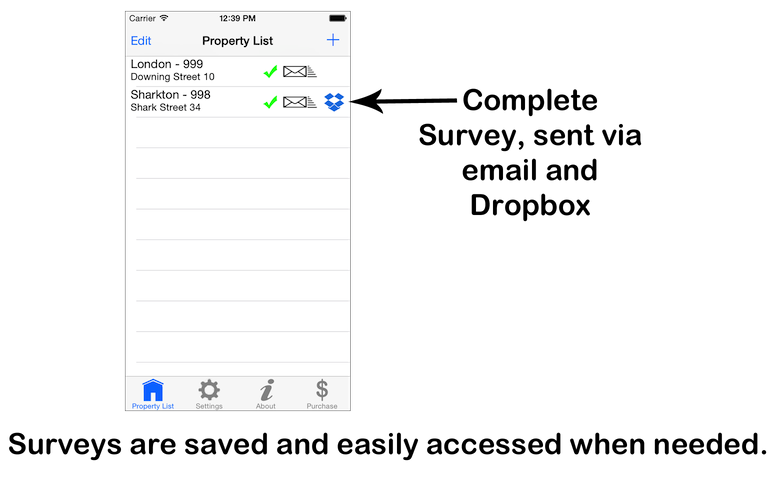 Error checking is completed automatically, ensuring that no information is missing before the surveyor leaves the property. 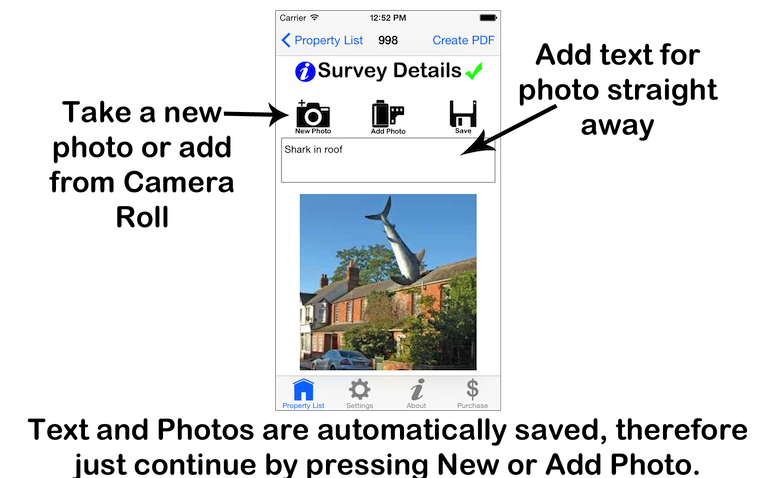 The report PDF is created and reviewed via the app, meaning the surveyor does not need to return to the office to complete any writeup or collate pictures, saving time and therefore money. 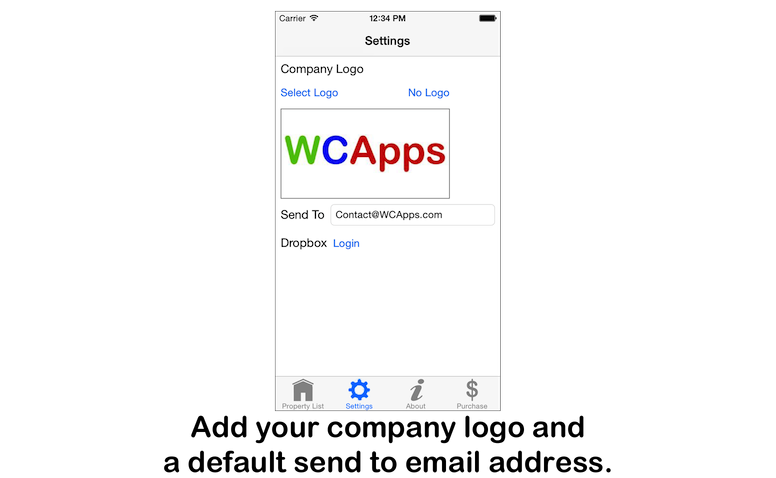 Download an example report created by Photo Schedule.